King Nun are a four piece from London who stepped into the spotlight in 2016 with their ferocious debut single Tulip. Following on from their debut, the band today reveal a video for their new single Hung Around. 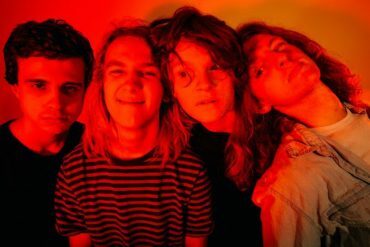 This month will see King Nun bring their raucous live show to the inaugural Dirty Hit tour, alongside label mates Superfood and Pale Waves. Tickets available at the band’s website. King Nun are Theo (vocals, guitar), James (guitar), Nathan (bass) and Caius (drums), all 19 years old from London. Hung Around will be available on limited edition coloured 7” vinyl.